The MS Boychoir and organist Sarah Hawbecker opened the program with Becky Mayo's arrangement of "Laudamus Te". It - and the rest of the program - was sung from memory, which meant that the eyes of the choir (I counted 29 singers) were focussed the entire time on director Nancy Robertson. Bach's much-loved choral work - "Sheep May Safely Graze" (titled "Loving Shepherd", from Cantata 208) - followed and by now the audience knew the rest of the program would be memorable. Michael Bedford's polyphonic arrangement of "Let All Mortal Flesh Keep Silence" followed, and then, in Casurella's sophisticated rhythmic setting,"Let All the World In Every Corner Sing." Next was Jill Gallina's arrangement of the Sanctus from Faure's d minor Mass. Here the preparation and skill of the choir was on display - there are several higher passages that are often sung slightly out of tune (flat, that is), but the Boychoir nailed each note perfectly, leaving a very satisfied audience. Another Sanctus (from Schubert's German Mass in F) followed. Martin Shaw's familiar "With a Voice of Singing" was next, with an opportunity to hear the choir in some a capella passages, a very pleasing effect. "I Am a Small Part of the World" (Albrecht & Althouse) then was sung, with the choir's regular pianist Rosanne Smith. The choral part of the program closed with Narverud's exciting "Sisi ni moja" (Swahili for "We Are One"), with added percussion. The MS Boychoir is in its 23rd season, having grown boy by boy over the years and matured musically (and physically) as well. It is a diverse group of polished musicians and the AGO is proud to have presented them in this concert. 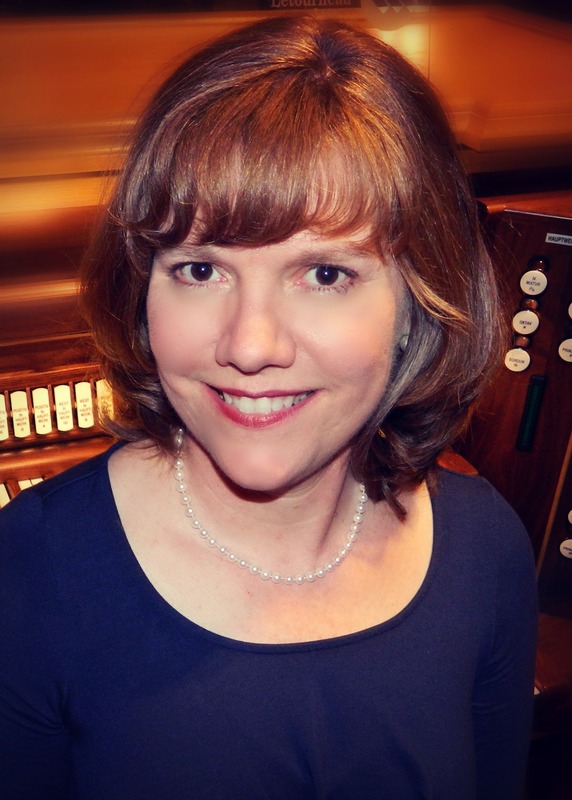 Sarah Hawbecker opened the remaining part of the program, an organ recital, with Craig Phillips' "Rhapsody for Organ" - a big piece with a wide dynamic range. This was followed by Bach's transcription for organ (BWV596) of Vivaldi's "Concerto in d minor", Four movements were listed (i. Untitled; ii. Fuga; iii Largo e spiccato; and iv. Finale). Hawbecker captured the spirit well, with a steady tempo, which became lively in the last movement. Then, with a skip of about 150 years, two familiar Brahms' chorale preludes ("O Gott du Frommer Gott" and "O Welt, ich muss dich lassen") were played with considerable variation in tempo, and, between sections, in dynamics. Vierne's "Pastorale" from Symphony No. 1 followed, with contrasts in volume between sections, and an exciting close. Hawbecker closed the program with a powerful and rousing rendition of Jongen's Toccata. This piece, taken together with the other organ works and her very sensitive accompanying of the Boychoir, left the audience with many satisfying memories of the evening. We also are grateful to St. James' Episcopal Church and their Organist-Choirmaster Donald Messer for their help in presenting this program.